Up your chances of earning this rare drop. As part of a crossover with the equally superb Horizon: Zero Dawn, a new quest in Monster Hunter World rewards you with the ability to craft Aloy’s armor from the game, along adorable robotic gear for your Palico chum. 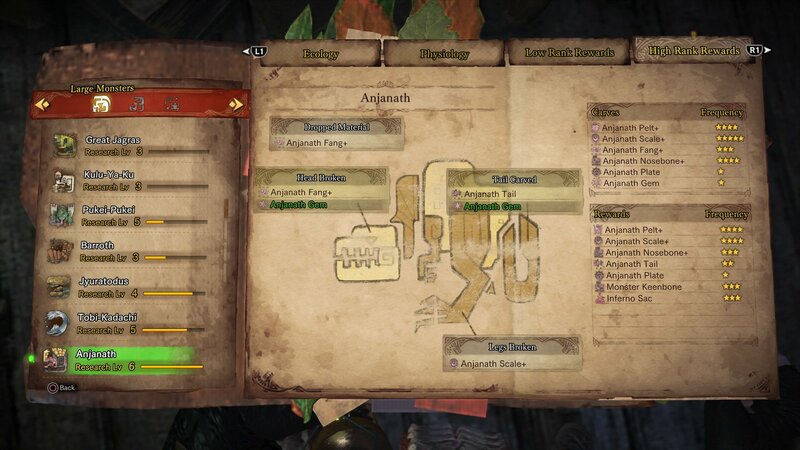 In order to create this unique outfit however, you’ll need to get your hands on an Anjanath Gem. You only need one, but this rare bit of loot can prove extremely hard to come by. Fortunately, there are some ways to increase its drop chance. Read on to learn the best way to get an Anjanath Gem in Monster Hunter World. 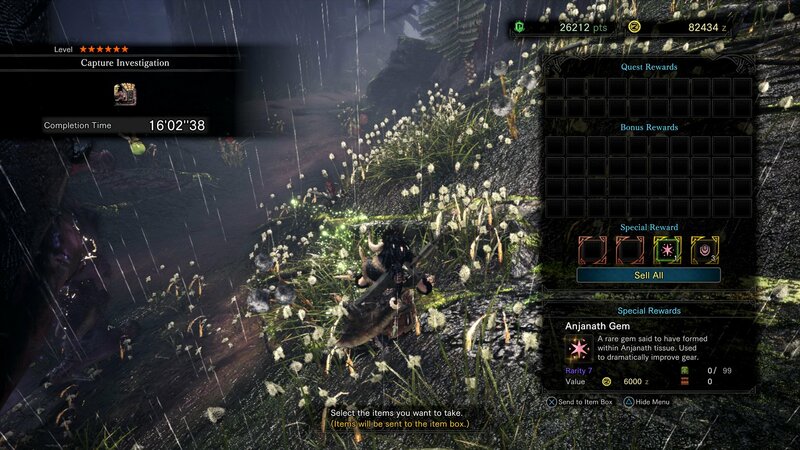 Anjanath Gems are a high rank, rare reward that can be carved from the broken head or tail of, you guessed it, an Anjanath. 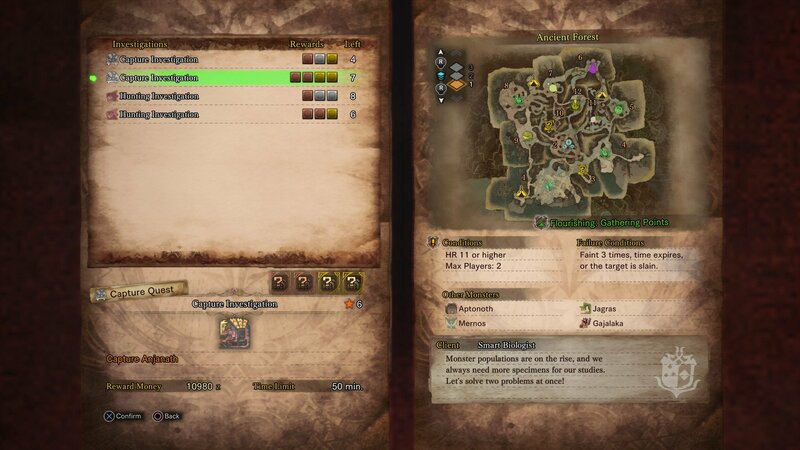 The details on how to earn the item are available if you increase your Anjanath research level to six, but you’ll notice that the drop rate is particularly low. Fortunately there are some methods to up the odds, though only a little. The first port of call is making sure you take the right kind of quest. Ideally, gold level rewards are what you’re looking for, so make sure you scroll through your potential investigations for an Anjanath and select one with gold level rewards. Even then, the drop rate is still low, so you’ll need to make sure you break the head and tail of the beast when you find it. This can prove to be a surprising challenge since teaming up with players will often see the beast go down in five minutes or less. It's not uncommon to find it already slain or captured long before you arrive. If you’re able to tackle the mighty creature alive, you’ll want to focus your combinations and power attacks on the head and tail. If you’re able to mount the Anjanath, climb up to the head or tail to land your attacks there. Sadly there’s no guarantee this will break it during the fight, but it’s the best way to increase your chances of doing so. If you manage to break either the head or tail (or perhaps both - you lucky devil) then don’t forget to loot the parts from the forest floor. Again, the odds you’ll net yourself a gem is pretty low, but it’s the best method available right now. 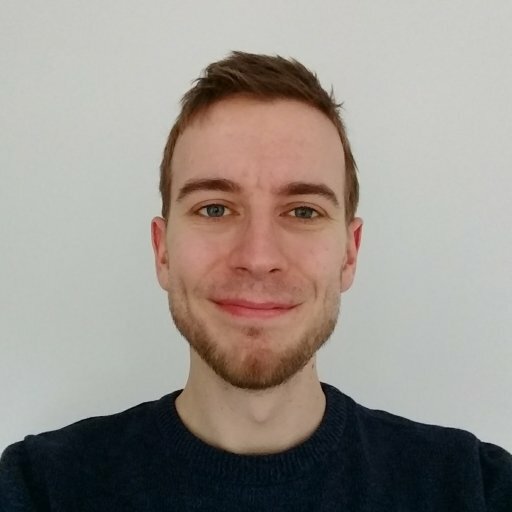 It’s possible to run the Anjanath mission 20 times or more without success, so we can only wish you the best of luck. Keep on hunting and you’ll get there in the end. Once you’re done earning yourself some nice new armor, why not have a read of our guide for how to take down Nergigante.